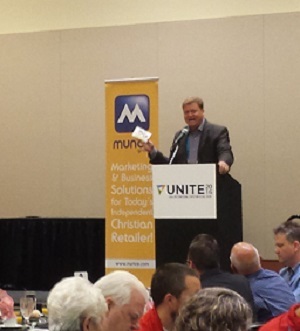 Florida-based Munce Group celebrated a quarter-century of service to Christian retailers at its annual supplier appreciation breakfast Monday at Unite 2016 in Cincinnati. Acclaimed musician Keith Getty spoke to the many suppliers present at the event. His focus was on missions in China, and he highlighted a 1931 hymn he and his wife, Kristyn, rewrote. “Facing a Task Unfinished” is the title track for the group’s new album. 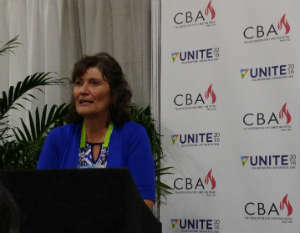 American Christian Fiction Writers (ACFW) announced the 2016 Carol Award finalists and the ACFW Lifetime Achievement Award recipient Monday at CBA’s International Christian Retail Show (ICRS) themed UNITE. The 2016 ACFW Lifetime Achievement Award recipient will be Janette Oke. ACFW CEO Colleen Coble said Oke basically launched Christian fiction as a genre with her "Love Comes Softly" series. Hallmark recently turned Oke’s When Calls the Heart into a best-selling series about to begin its fourth season. At ACFW's press conference, author Cynthia Ruchti also announced the finalists for the 2016 Carol Awards—named after editor Carol Johnson, Oke’s first editor—in 11 categories of Christian fiction published in the previous calendar year. 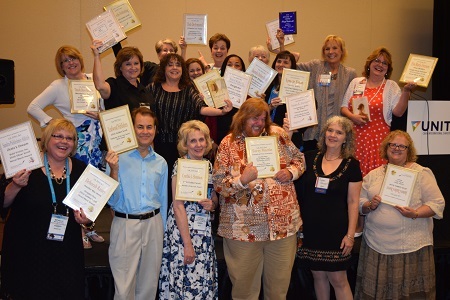 The Carol Award winners, Lifetime Achievement Award recipient, Editor and Agent of the Year, Genesis Contest winners for unpublished manuscripts, and other honors will be awarded Aug. 27 at the gala at the ACFW conference in Nashville, Tennessee. About 50 retailers and exhibitors gathered at the 2016 ICRS ribbon-cutting ceremony, waiting to be the first to arrive on the exhibit hall floor of the Duke Energy Convention Center in Cincinnati. The show’s move to Cincinnati represents “the start of a smaller, more intimate, more nimble place for us to strengthen relationships with each other and do business well,” said CBA Chairman of the Board Sue Smith, manager of Baker Book House in Grand Rapids, Michigan. 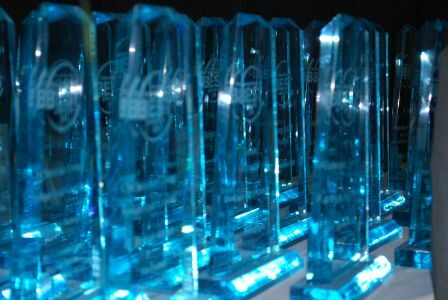 B&H Publishing Group was the runaway winner with 13 awards at the 2016 Christian Retailing’s Best awards. 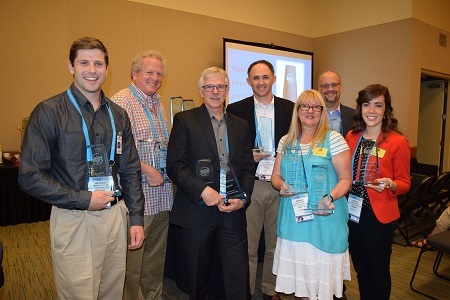 Christian Retailing announced the awards celebrating the best products of the year Monday morning during Unite 2016 (International Christian Retail Show) in Cincinnati. Abingdon Press also had a good showing, winning five awards, while both Lighthouse Christian Products and Baker Publishing Group won four. 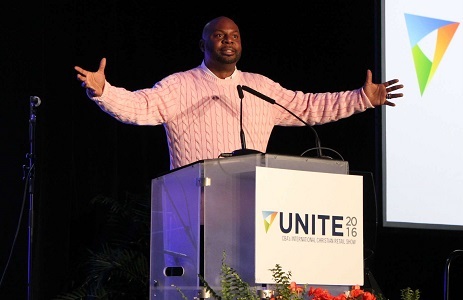 Attendees of CBA’s Unite 2016 in Cincinnati participated in a Worship Him! service packed with three hours of Spirit-filled praise, inspiring speakers and significant awards. Chris Hill, senior pastor of The Potter’s House in Denver, Colorado, preached on the life of David before the shepherd became king, a message based on his new book, Walking to Jerusalem (David C Cook). Martin told the story of how God turned his life upside down through that Precept BIble study poster. 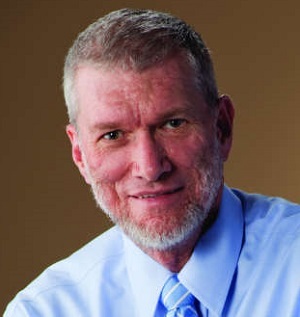 Later he became a licensed Precept leader, a fact all the more significant because he filled in as keynote speaker for Kay Arthur at Sunday afternoon’s AWSA (Advanced Writers and Speakers Association) Golden Scroll Awards banquet. 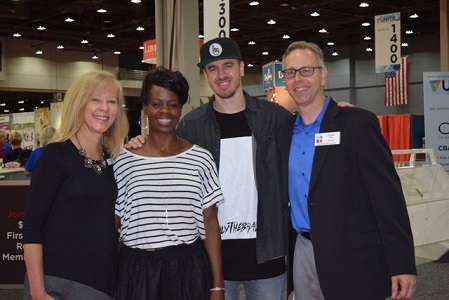 Arthur, executive vice president and co-CEO of Precept Ministries International, stayed home after her husband, Jack, was hospitalized this week. Christian Retailing invites Christian retailers, publishers and all who work in the Christian trade to help us name the top products of 2015 in this year's Christian Retailing's Best awards. The voting period runs through March 31. Click here to vote in more than 35 product categories, including Coloring Books, Devotionals, General Gift Product and DVD: Book/Bible Study.